Non Profit Marketing – Need The Best Agency? 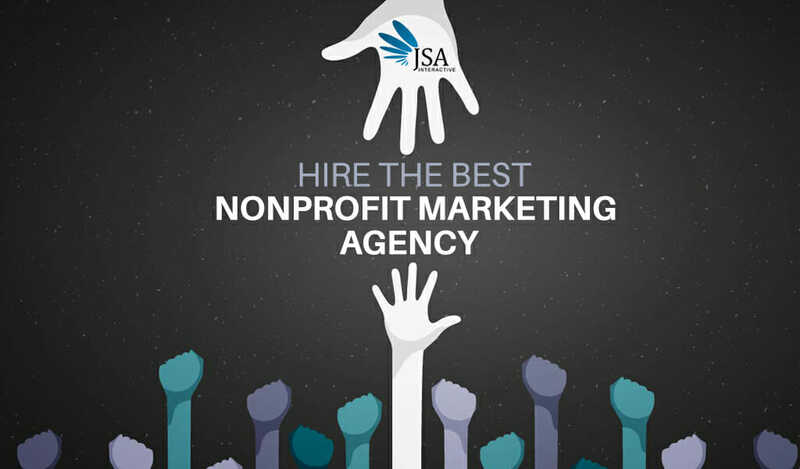 Hire The Best Non Profit Marketing Agency & Get Results! JSA Interactive, a marketing agency for non profits & 501c3 organizations, helps market your nonprofit organization to reach potential donors, volunteers, and more through precise, impactful marketing strategies that will expand your reach and your target audience. The best nonprofit marketing agencies have to be able to see the bigger picture, understanding just how and when people use the internet to search for nonprofit organizations. We work with nonprofits, NGOs, foundations, charities, social enterprises, outreach groups, cause marketing, church groups, and corporate social responsibility teams to help develop digital marketing strategies that inspire action, typically in the form of a donation of gift. JSA Interactive works with your team to find out the stories that you want to tell – and even more importantly, why you want to tell them. From there, we branch out and make landing pages, PPC ads, website content, and more that will help you to entice potential donors, volunteers, and members. Everything is updated in real time, so you can market for a specific drive or event that you want to target, or you can have an overall nonprofit marketing campaign that is effective, efficient, and rewarding. Whether your goal is to bring more people to your activities, earn more donations, or simply help more people, JSA Interactive can show you the nonprofit marketing strategies that will help you get there – and implement them along the way. We can help 501c3 organizations apply for up to $120,000 / year in FREE advertising. Most will be accepted. Sign up for a yearly advertising package with JSA Interactive and we will support the grant application and setup for free – a $3000 value Free!